Renderings released for Lucas Museum California locations. 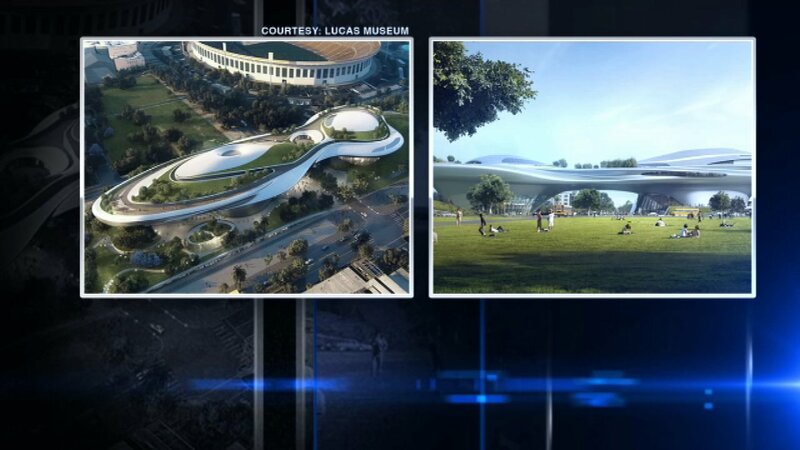 CHICAGO (WLS) -- We know it won't be in Chicago, but we're getting out first look at architectural renderings of the Lucas Museum in California. Two proposals have been finalized for the filmmaker's Museum of Narrative Art. One is near the Los Angeles Coliseum, and the other is on Treasure Island in the San Francisco Bay. A plan to build the museum on Chicago's lakefront did not get off the ground.